Drilling and filling voids with concrete grout for the re-stabilization of deteriorating seawall. Re-setting and re-pointing rocks that have moved with special high strength type concrete material. 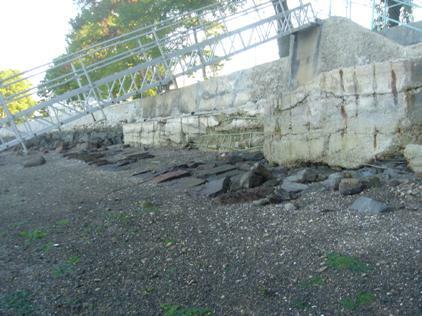 Construction of new seawalls with large stones with a five point interlocking system and a special type of Filter Fabric with erosion control material.